Now that the weather is hotting up you are probably taking lots of great photos capturing special moments. But what if you lose or delete some? Are they gone forever? The answer is a resounding “no”! 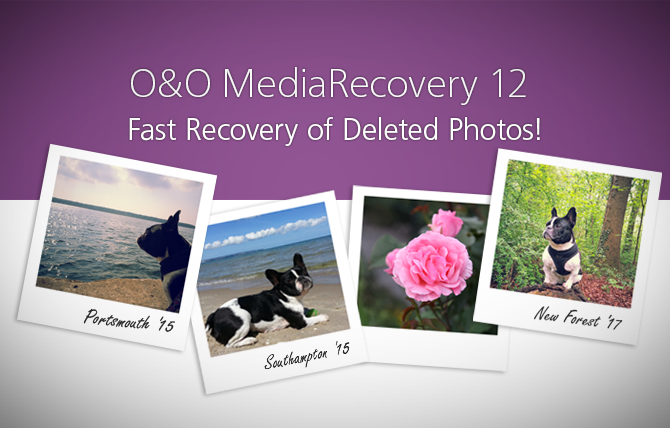 With O&O MediaRecovery 12 you can recover deleted photos that captured those precious moments: your vacation, the day you got married, or the first pictures and videos of your children. These memories are priceless and cannot be replaced, so a small investment in this program is always worth it! And O&O MediaRecovery doesn’t stop there: it can also recover your favorite songs, simply and quickly, and all with just a few clicks of the mouse! O&O MediaRecovery recovers data from removable drives such as MP3 players, digital cameras, memory cards (e.g., SD, MMC, xD as well others), hard disks, and, of course, most mobile devices such as Tablets or Smartphones. All you do is install O&O MediaRecovery on your computer and connect the device from where you wish to recover photos, videos or music. After the program starts, the O&O MediaRecovery wizard guides you step by step through the whole recovery process so that you can have your “lost” media files back again quickly! Try or buy O&O MediaRecovery!